Available Now, Free Samples of Our Work! 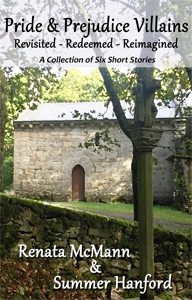 We’re pleased to offer free samples of our stories! 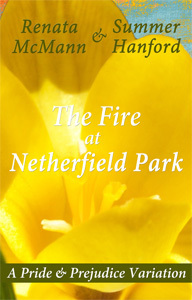 Check out a sample of our most recent work, Fire at Netherfield Park, below, or select Free Samples! from the menu to the left. 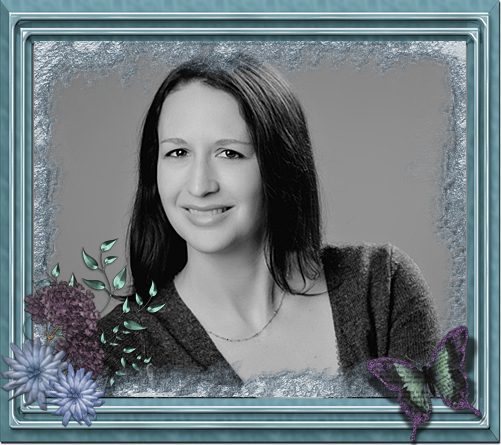 Posted on July 5, 2016 March 30, 2017 Author Summer HanfordCategories Renata McMann, Summer HanfordLeave a comment on Available Now, Free Samples of Our Work! Caroline Bingley is a character people love to hate. She’s often portrayed as a villain in Pride and Prejudice variations, but Jane Austen cleverly makes her only a mild villain. She lied to Jane Bennet, but most of her lies are difficult to pin down. She talked about people’s feelings, but she could be mistaken in those. Her claim that Mr. Bingley and Georgiana Darcy might marry is not entirely without foundation, since it is implied that Mr. Darcy considered that as a possibility. One has to ask if she is listening to herself. 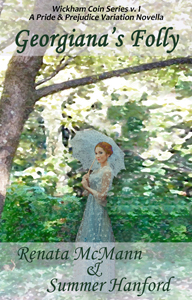 When Darcy praises Elizabeth Bennet’s eyes, Caroline mockingly talks of Darcy’s marriage to Elizabeth with an emphasis on his dealings with her family. But Darcy controlled his attraction to Elizabeth very well until he saw her at Rosings, away from her family. In Darcy’s proposal, he talked about his struggle. He almost certainly thought that he could enjoy Elizabeth as a wife and only have infrequent contact with her family. Caroline’s talk of the marriage probably helped Darcy’s struggle, since it pinpointed the problem. Caroline also pushes Darcy to say how attractive Elizabeth is, probably for the first time. Regardless of how many times he thought that, saying it in public probably helped solidify his feelings for Elizabeth. Caroline’s attempt to attract Darcy in a positive way, by flattery and attention, has to be considered less than well-planned. He must be very used to both. Praising his writing? Asking him to include statements to his sister, when it would be permissible for her to write Georgiana directly? Telling him they are both above the company they keep, when he must consider himself well above her? Reading the second volume of a book when he is reading the first volume? On the last, how about reading the first volume when he is not reading it, and talking to him about it? Wouldn’t that be more likely to attract his interest? 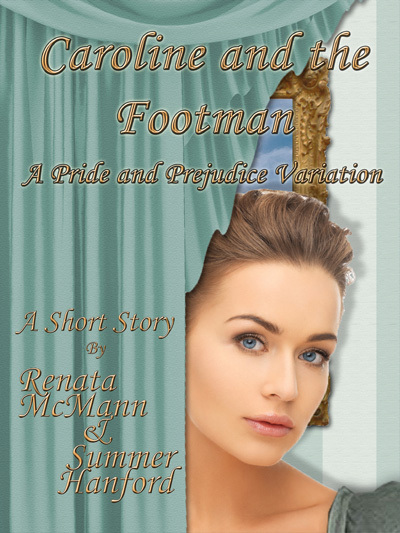 Summer Hanford and I wrote a short story called “Caroline and the Footman” which explores the possibility that Caroline Bingley’s actions are not caused by stupidity and not motivated to attract Darcy. We aim to shatter the Caroline Bingley villain motif, and turn what you thought you knew about her on its head. This story will come out in January, 2015. “[Wickham had] vicious propensities… [and] his life was a life of idleness and dissipation.” From Mr. Darcy’s letter to Elizabeth. To answer that question, we have to list those things that are known about him. He went into debt. These debts were both gambling debts and debts to merchants. The gambling debts were debts of honor, and thus not legally recoverable. The debts to the merchants in Meryton and Brighton were much more serious in Jane Austen’s time than today, because he could go to debtor prison. He slandered Mr. Darcy. He certainly was guilty of that, and Darcy could have sued him for damages. Of course, Wickham didn’t have any money to pay Darcy. He tried to elope with a fifteen year old heiress. This looks worse from a modern perspective than from the time. Mr. Wickham and Georgiana Darcy could legally marry in Scotland. He also had the consent of the person who was in charge of Georgiana. Mrs. Younge wasn’t Georgiana’s legal guardian, but was entrusted to her care. Her encouragement of the elopement gave Wickham some legitimacy. He ran off with a sixteen year old. Again, this was less serious in his day than now. I don’t claim to know the law on this issue, but the fact that Mr. Darcy couldn’t get Lydia Bennet to leave Wickham suggests there were no legal issues here. Also, Lydia’s mother was happy with the marriage. 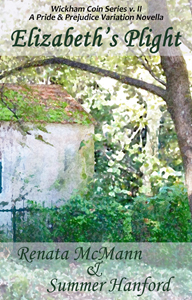 The fact that the Bennets’ neighbors accepted Lydia and Wickham once they were married suggests that they didn’t consider Wickham too evil for this act. As villains go, Wickham is very mild. 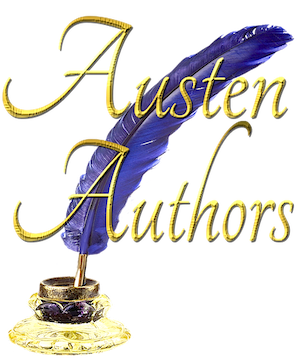 Darcy said he had vicious propensities, but at the time Jane Austen wrote, “vicious” meant “immoral, corrupt. The word then did not have the connotations of ferocity or aggression that it has now.” [The Annotated Pride and Prejudice, edited by David M. Shapard, 2004, page 369.] It is easy to believe that he was guilty of “idleness and dissipation,” but that came from a man who hated him. A less prejudiced observer, Mrs. Reynolds, called him very wild. Wickham certainly wasn’t a good man, but calling him evil does not seem to be justified. …except that he caused pain to our favorite fictional characters, Darcy and Elizabeth.